Here I am sitting in the house on this miserable Sunday in June watching the rain bouncing off the patio floor outside, it is 16°c and I have two layers of clothes on. I haven’t been very active on the blogging front lately as I have been taking advantage of the dry weather to paint the outside of the house – that all stopped today though! Feeling a bit sentimental today so have been looking at a Picasa slideshow of some old photo’s. 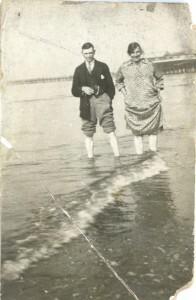 I decided to do a quick blog after seeing a photo of my paternal grandparents enjoying a day at the seaside. I have a number of photo’s with Bill and Annie in several seaside locations, always with trousers rolled up and dress hitched up, paddling in the sea – no bathing costumes. Note that Bill was also wearing a shirt & tie, a waistcoat and long jacket, with handkerchief in top pocket and pocket watch. At least it wasn’t raining! Judging by the pier in the background the location would appear to be the North Wales coast somewhere between Rhyl and Llandudno. 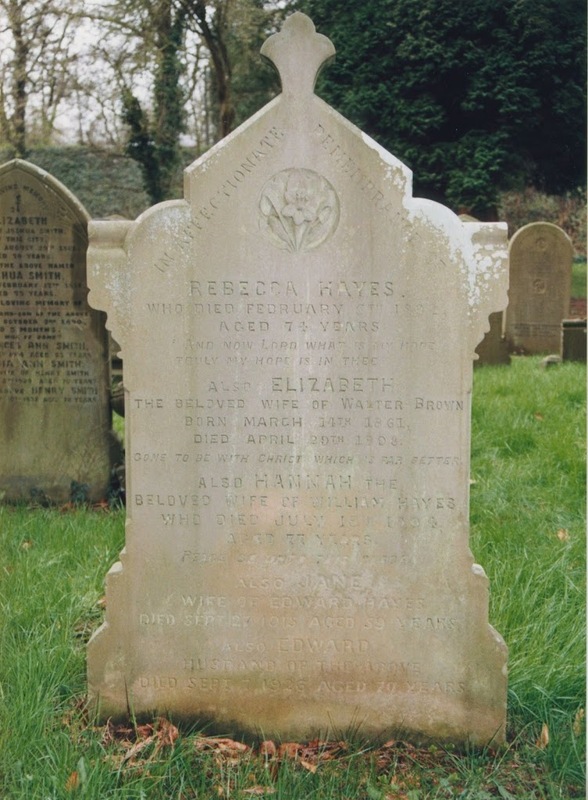 Bill was an Engine Driver for the GWR (Great Western Railway) and would have been allowed travel concession passes, so they probably travelled by rail. Annie was in service as a Cook for the Aldred family at Littleton Old Hall, Christleton, Chester. This was likely to be a Sunday when they were both not working.